Oh my Oz. Is it possible to give a show 6 stars? 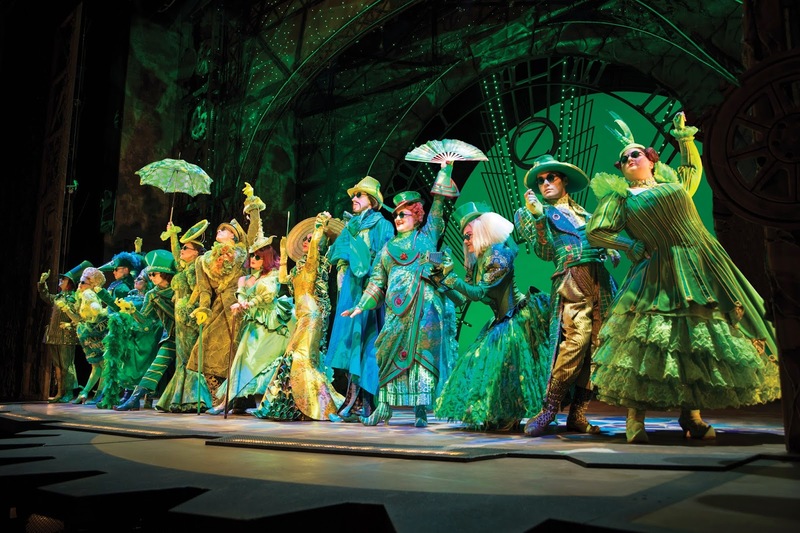 If we could, we would make it a spellbinding first after the thunderously incredible West End and Broadway smash hit, ‘Wicked’ flew into the Edinburgh Playhouse (for a limited 8-week run) and blew the emerald-hungry audience away with its dazzling spectacle and astonishing sound. Yep… Brace yourselves, and prepare your goosepimples…Fresh from a whirlwind tour of the UK, this is the first production of the show to have left its West End routes. And holy ‘Shiz’, it certainly benefits from the freshness and vigour afforded it by its blithe and talented cast of actors. WICKED is based on the acclaimed best-seller ‘Wicked: The Life and Times of the Wicked Witch of the West’ by Gregory Maguire, inspired by L Frank Baum’s original characters from the Wizard of Oz. Maguire re-imagines what happened before, during and after ‘the farm girl’ dropped into Oz with her house. The songs are crafted by Stephen Schwartz (notable for plenty of Broadway hits as well as Disney classics Pocahontas and The Hunchback of Notre Dame) with the playful adaptation by Winnie Holzman slicing out the heavier and darker elements of the novel. And for those of you who have been living in the Thousand Year Grasslands of The Outer Vinkus, let us give you the gist. 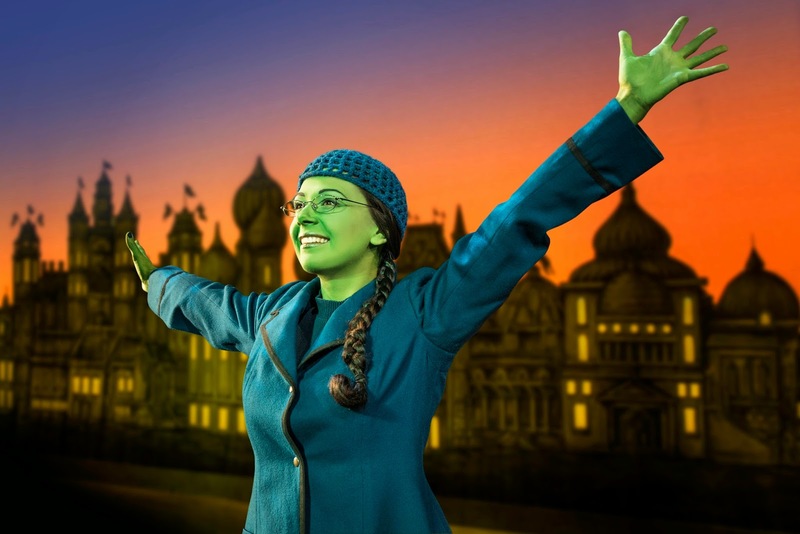 Green-skinned Elphaba is a talented yet socially awkward girl who ends up caring for her sister Nessarose at university. There she meets the effervescent socialite Glinda (‘the Gah is silent, you know’) and an extraordinary friendship unfolds as they dance through life, love and rebellion in the Land of Oz. Leading the production as the misunderstood and misrepresented Elphaba is Edinburgh’s own Ashleigh Gray. Gray commands the role, planting her broomstick in the ground and claiming the Edinburgh Playhouse as her own. She has an astonishing vocal talent with the ability to both belt and riff on a note at the same time (‘briffing’, if you will) which undoubtedly defies all pre-conceived ideas of biological vocal mechanics. Stunning. The pinnacle number ‘Defying Gravity’ (closing Act 1) was quite simply, tear-jerkingly sensational. Or ‘facemeltingly good’, for want of a better expression. Not to be out-done, Emily Tierney’s Glinda is a comical yet emotive performance. Notebly, Tierney’s portrayal is less puerile and haughty than other interpretations of the ditzy blonde, allowing an instant warmth and affection towards to the role. Wonderfully, Gray and Tierney complement each other perfectly. The unexpected arrival of ridiculously hunky Fiyero (played with truth by ridiculously hunky Samuel Edwards) causes a change in dynamic that allow all three to explore the light and shade of their characters, fulfilling the promise of the show. In addition, there is sterling work by Carina Gillespie as Nessarose (feisty and bitter), Steven Pinder as the Wizard (saccharine yet powerful) and Richard Vincent as Boq. Credit must also go to Marilyn Cutt for her comedic yet stern performance as Madame Morrible, whose interpretation hinted at the more menacing undertones of the character from the novel. It seems also prudent to mention the ensemble who, moreso than their counterparts in London, seem to have developed a real chemistry and give a gritty performance which is both playful and sinister. Every element of this touring production is completely breathtaking. Eugene Lee's spectacular set, Susan Hilferty's stunning costumes, Kenneth Posner's dazzling lighting design... The list goes on. Special mention however must go to Musical Director Dan Jackson and his brilliant orchestra who brought the exquisite musicality of Stephen Schwartz's melodies to life from the depths of the pit. Fab-ul-OZ. All this begs the concluding cardinal question: Could this production be esteemed *better* than its West End counterpart? *whispers* Yes. 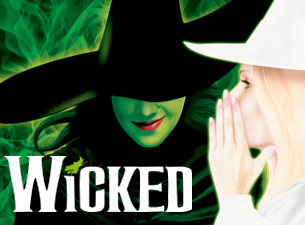 Wicked runs until Saturday 10th January 2015 at the Edinburgh Playhouse. For more information on tickets, go to www.atgtickets.com.